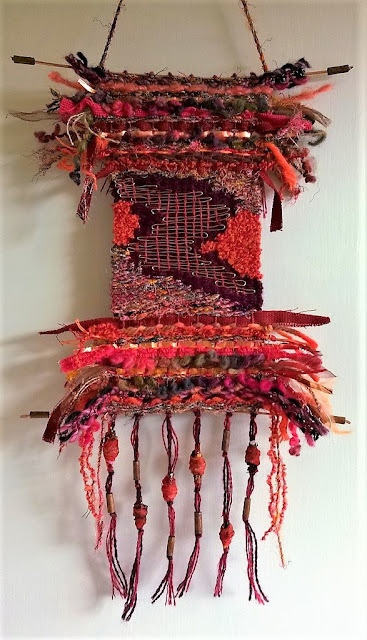 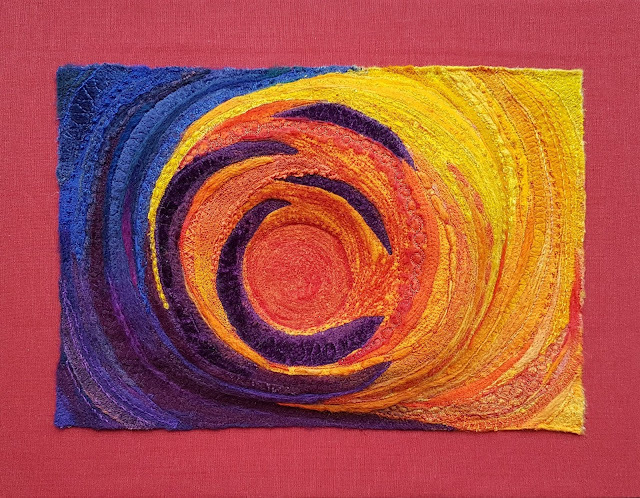 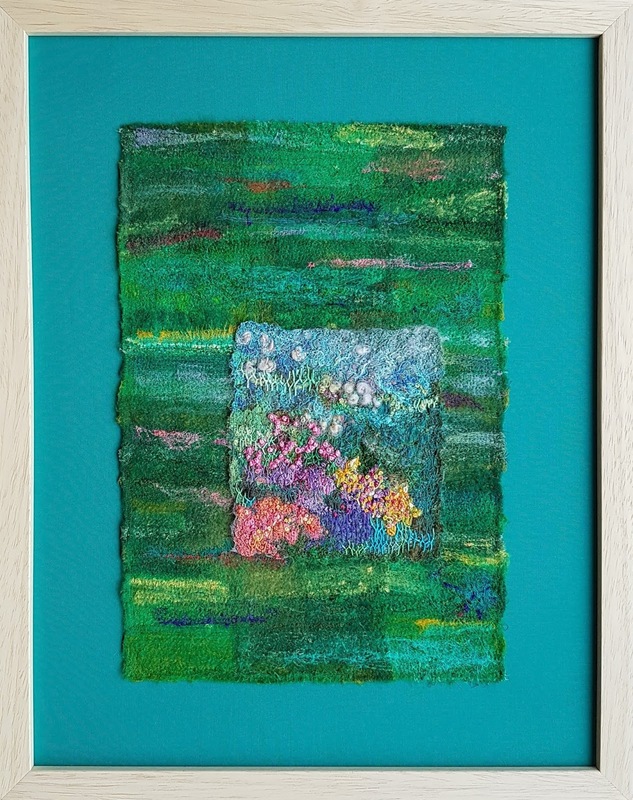 My work as a teacher left little time to continue the dressmaking, knitting, crochet and embroidery which I enjoyed so much and it is only since I retired that I have returned to these creative activities and discovered a whole new textile art world. Although I love words, songs and poetry, my work is usually inspired by pictures - things I have seen or places I have been. 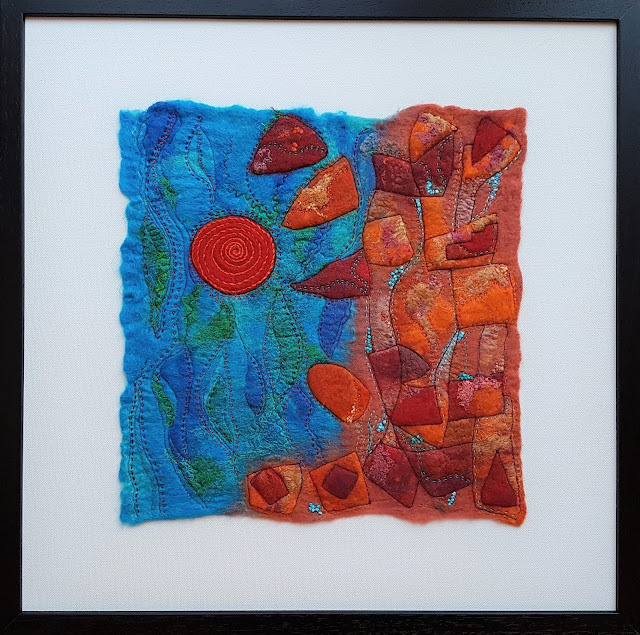 I make no attempt to recreate them literally, preferring to work with symbols, texture and, most significantly, with colour to create abstract images, sometimes including metal, but mainly using an embellisher, hand and machine embroidery, felt, fabric, yarn and beads. Since joining Traverse, I have expanded my practice, through discussion and valuable skill-sharing within the group, and I've particularly enjoyed exploring the use of paint on various surfaces and also working in 3D, which is reflected in some of my work for our 2019 exhibition, 'Revealed’. Different layers and surfaces are revealed, having either been cut or burned away; this creates contrasting textures, reminiscent of contour lines and the hidden third dimension within them, or archetypal symbols and ancient vessels. 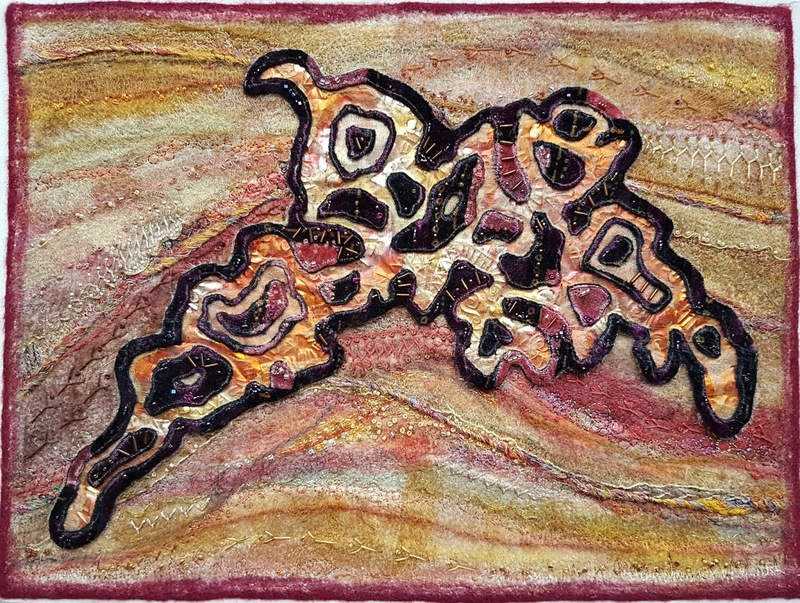 These textured surfaces are then decorated with stitch or sometimes layers of paint, which in turn are rubbed away, showing further hidden shades of colour beneath. My work for ‘Destinations’ (2018) was inspired by landscapes – real and imaginary - either memories of favourite places or those in books I’d read. 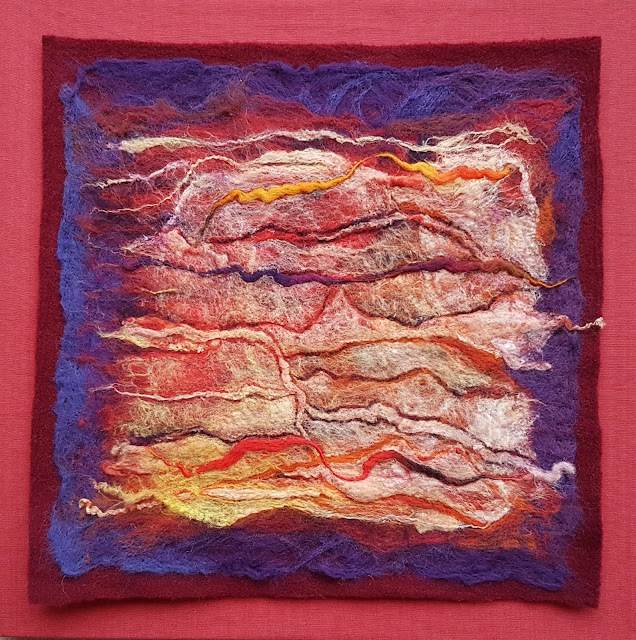 I was also exploring views of the Earth from space and developing work on landscapes which are hidden from conventional viewpoints.